← Why Must External Factors Consume Us? Living life today is all about keeping up with the different trends and the different advancements in fashion and technology. Think back to the past and focus on things that other people like us were facing. The people who lived and endured through World War 1 suffered more than us; they suffered actual death. They suffered being apart from the people who they’re dear to. In this 21st century, us teenagers often whine to our parents about not having the latest model of what Apple created or not having the best phone there is. It’s actually very sad that we’re living in a society today where we want everything and not appreciating the things we have. 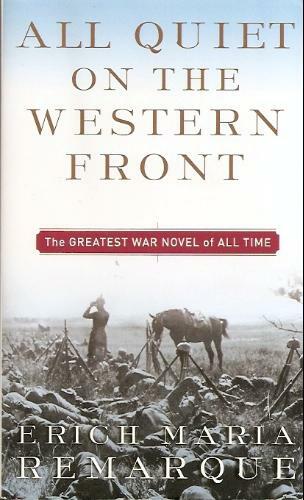 Reading the book, “All Quiet on the Western Front” made me realize the hardships that individuals like us had to face. It’s actually very astonishing for me to read about the soldiers’ living conditions and how they had to live through terrible weapons that were shot and fired at them. Living in America where peace is almost unanimous makes me take for granted for where I am living compared to the other people’s geographical location and their government’s confinements. I did a very interesting activity in my English Honors 2 class and I quite enjoyed it. It was actually a wonderful experience where I could allow my thoughts to wander and my creativity to ignite. 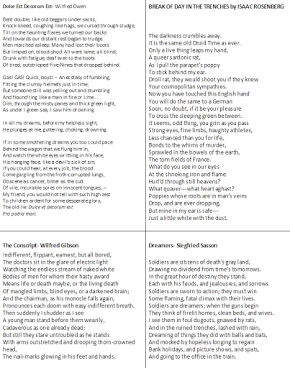 So I basically read poems on World War 1, Hi-lighted the different words/phrases/lines that I liked, and created my own poem based solely on the words in those poems. What do you see in our eyes? Firelit homes, clean beds, and wives? of mangled limbs, blind eyes, or a darkened brain. now you have touched the shrieking iron and flame. 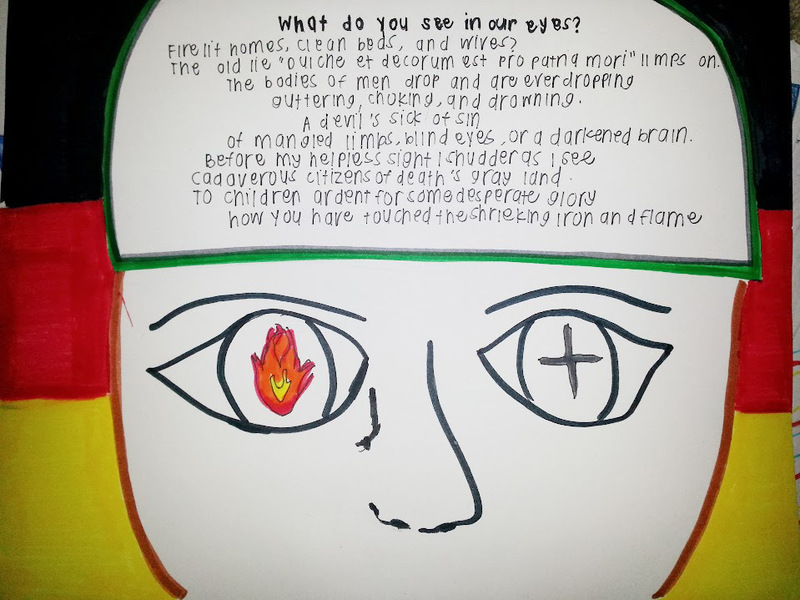 For the design of this poem, I thought about since it is in the perspective of a solider in WWI, it should be best represented by a soldier’s face and objects that are represented in the soldier’s eyes. There is a flame and there is an iron cross in his eyes and it represents the last line of the poem “now you have touched the shrieking iron and flame” and it basically draws to my senses that there is an ever-existing amount of suspense and tension building in those worlds. I allows me to literally hear the iron shrieking and the flame burning bright due to the weaponry. Overall I thought it was a fun experience and it was actually nice trying to create a poem based on the words given. It was a great learning experience and I would recommend anyone to try and do the same.